Over the next 2.5 years, Georgia’s Ogeechee River will be closely monitored. Georgia Southern University’s Department of Geology & Geography will study atmospheric and terrestrial observations and research focused on processes in the watershed and the Department of Biology, in conjunction with the Phinizy Center for Water Sciences, will focus on in-stream processes and conduct biological sampling of the Ogeechee River. This research will ensure a long-term, holistic approach to understanding Ogeechee River Basin. The Ogeechee River is a 294-mile-long (473 km) blackwater river in the U.S. state of Georgia. It heads at the confluence of its North and South Forks, about 2.5 miles (4.0 km) south-southwest of Crawfordville and flowing generally southeast to Ossabaw Sound about 16 miles (26 km) south of Savannah. Its largest tributary is the Canoochee River, which drains approximately 1,400 square miles and is the only other major river in the basin. The Ogeechee has a watershed of 5,540 square miles (14,300 km2). It is one of the state’s few free-flowing streams. The Ogeechee River Project is geared towards investigating ecological processes in this important watershed. The work of our research is meant to provide more than short-term monitoring of biogeochemical components in this river basin, but also to ensure a long-term holistic approach for research conducted on the Ogeechee River. 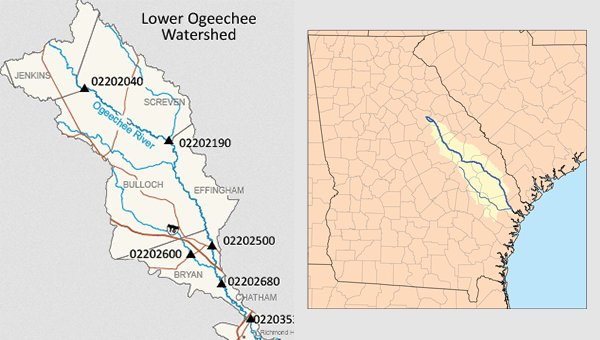 The Ogeechee River Project consists of two research themes carried out by two distinct teams of researchers at Georgia Southern University and partner entities. One group from the Department of Geology & Geography at Georgia Southern is focused on atmospheric and terrestrial processes in the watershed while the other, from the Department of Biology at Georgia Southern in conjunction with the Southeastern Natural Sciences Academy (SNSA) is focused on the in-stream processes and biological communities of the Ogeechee River. 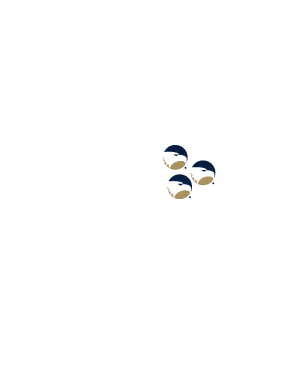 This Supplemental Environmental Project was undertaken in connection with the settlement of an enforced action taken by the Georgia Environmental Protection Division for violations of the Georgia Water Quality Control Act.